Former Milwaukee Bucks players Sidney Moncrief and Jack Sikma will headline the Naismith Memorial Basketball Hall of Fame’s Class of 2019, the Honors Committee announced Saturday. Selected fifth overall by Milwaukee in 1979, Moncrief spent the first 10 seasons of his NBA career with the Bucks. In 695 games with Milwaukee, Moncrief averaged 15.6 points, 4.7 rebounds and 3.6 assists per contest. 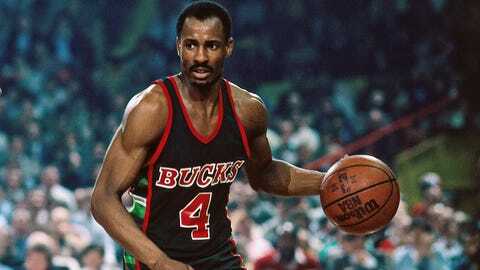 He ranks second in Bucks history in games played, minutes played (22,054), offensive rebounds (1,393) and assists (2,689). Moncrief is also the Bucks’ third all-time scorer (11,594 points), and his 874 steals rank third in franchise history as well. Moncrief was selected to five straight All-Star teams from 1982-86 and was named the NBA’s Defensive Player of the Year in 1983 and 1984. Sikma spent his first nine NBA seasons in Seattle, but the 6-foot-3 guard was traded to Milwaukee in 1986. He went on to play for five seasons in Milwaukee, averaging 13.4 points, 7.9 rebounds and 2.9 assists per contest. Sikma never made an All-Star team during his stint with the Bucks, but he was named to seven straight from 1979-85 and won an NBA championship with the SuperSonics in 1978-1979. Moncrief and Sikma join fellow former NBA players Vlade Divac, Paul Westphal and Bobby Jones in the Class of 2019, as well as former WNBA player Theresa Weatherspoon. The Class of 2019 will be enshrined in the Hall of Fame on Sept. 6.